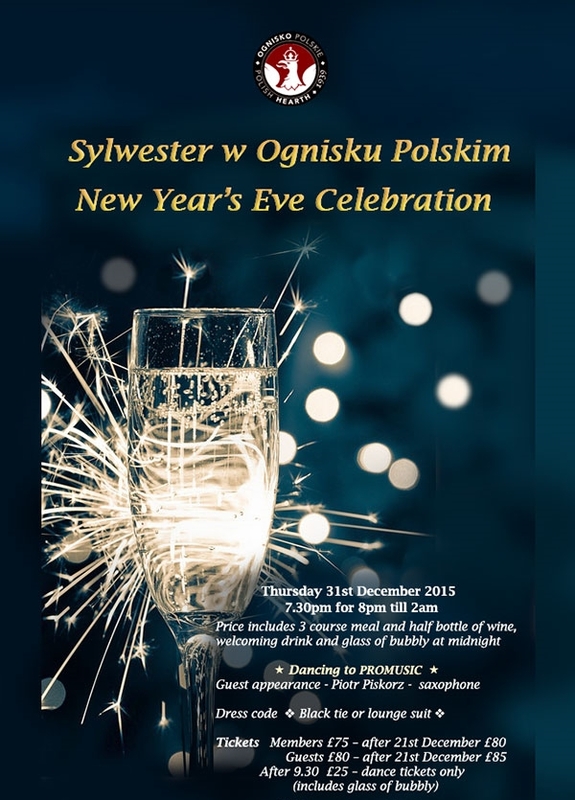 Bring in 2016 at Ognisko Polskie, The ‘dance only tickets’ are still available! The music will be provided by ‘PROMUSIC’, the popular ensemble from Lublin, Poland, which has previously played at the Polish Ball in London. Music will continue until two o’clock, so you can dance into the early hours, with a break at midnight to welcome in the New Year with a glass of Prosecco! The dress code is black tie or lounge suit. The ‘dance only tickets’ for entry after 10:00 p.m. come at £25/pp & include a glass of Prosecco at midnight! To book your tickets or inquiry please call Ognisko Polskie on 020 7589 4670 or visit their website.